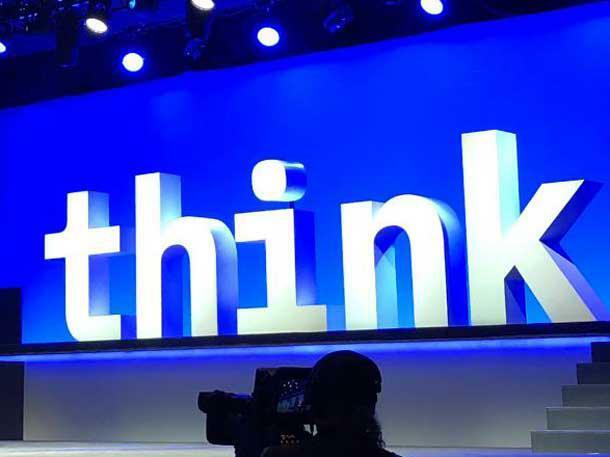 During the week of February 11, IBM hosted IBM Think 2019 in San Francisco, CA. In addition to Think, the annual IBM PartnerWorld Conference was also held during the same time. Hosting these events together saw almost 30,000 attendees descend on San Francisco for the week. Evolving Solutions had several team members and clients attend the event. It was an outstanding opportunity to learn about IBM’s 2019 strategic imperatives, new solution announcements and new channel program enhancements. Additionally, the event afforded us the opportunity to network with hundreds of clients and IBMers from across the country. As I reflect back on Think, there were several key take-aways for me. Hybrid Cloud is where it’s at. 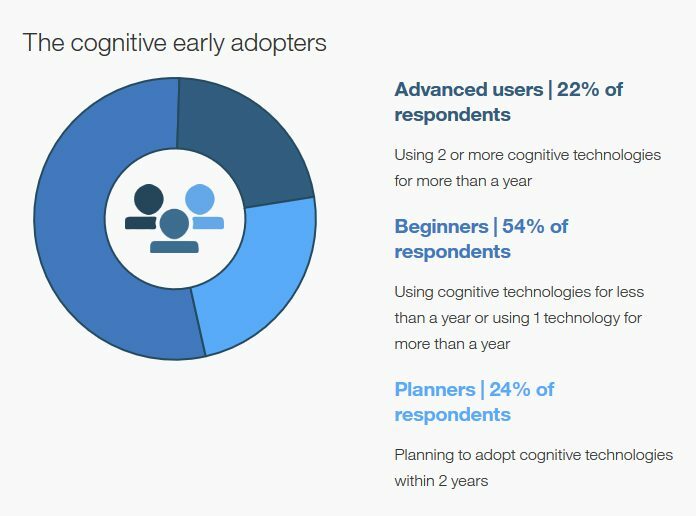 According to the IBM Institute for Business Value, clients are already using between two to 15 clouds. These environments might be on-premise or in the public cloud. As the number of cloud silos continue to grow, clients need an easier way to connect the applications, no matter where the data resides. During Think, the IBM Cloud Integration Platform was announced. This platform is “designed to securely connect applications, software and services from any vendor regardless of whether those systems are on-premises, in a public cloud or a private cloud,” according to IBM. Data. Data. Data. According to IBM CEO Ginny Rometty, “only 20% of the world’s data is searchable.” Applications such as Office365, CRM, expense management, etc. were the “easy apps” to get into the cloud. There is 80% of data out there that is critical to an organization’s overall success. Those core systems will be the focus of the next era. How do clients utilize that data to make gather meaningful business insights, and make-real time decisions? IBM is placing big bets on “the next 80%” to help grow its solution portfolio. Artificial Intelligence will transform how we all work. Many people still think of AI as something you would see in a Sci-Fi movie. But, according to Rometty and several executives we spoke with, AI will be embedded in applications or layered on top of them in the future. AI will enable new or improved business processes. AI will enable every single person to do their job in a more efficient or data-led way. AI will not replace jobs; rather it will augment how we do work. I like the theory, and look forward to seeing how this plays out over time. Red Hat is key to IBM’s future. The IBM executives could not say a ton about the Red Hat acquisition, since the deal has not closed yet. 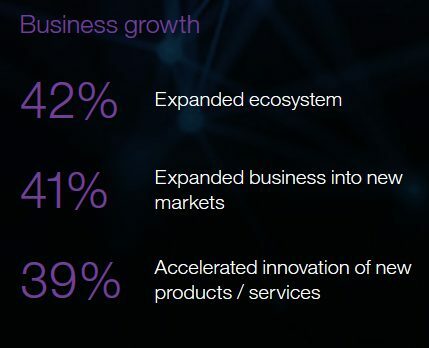 But, every single IBMer was excited for what Red Hat can bring to IBM in terms of new client opportunity, innovating the product stack and keeping IBM relevant to the next generation of buyers. Holy moly, the Moscone Center is huge. One of my non-business learnings is that the Moscone Center in downtown San Francisco is enormous. It is no small feat to fit tens of thousands of people into one place! Over the next few months, we will have Evolving Solutions team members at several of our other strategic partners’ premier conferences. We will share our insights from those events on our blog. I am looking forward to returning to San Fran next May for Think 2020. Hope to see you there! 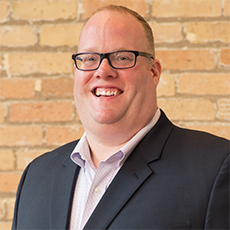 Bo Gebbie joined Evolving Solutions in January, 2017 as the Vice President of Sales, Services and Marketing. In this role, he is responsible for the sales, pre-sales services, post-sales consulting and marketing pillars within the organization. He is a member of the Executive and Management Teams, and represents the organization externally on vendor and partner Advisory Councils. Before joining Evolving Solutions, Bo was an IBM executive, serving last as Vice President of Server Solution Sales, North America. In that role, he had sales and profit responsibility for a $3B portfoilio across Power Systems, z Systems and the Server Linux brands. Prior to that, Bo was the Business Unit Executive, Power Systems Sales, North America. Like what you read? Follow Bo on LinkedIn. Many people don’t know this, but Weather Underground was a part of The Weather Company, which was acquired by IBM a few years ago. They had been offering an API that many customers and weather junkies had been using for quite some time to gather weather data for a vast array of applications. To accommodate Weather Underground’s rapidly growing customer base, The Weather Company made the decision to move the Weather Underground platform to IBM’s enterprise API infrastructure and set this popular API to be shut down this month. There are several different flavors of the API that are being published. The scalability of IBM’s infrastructure will allow existing Weather Underground customers to continue to receive the consistent customer experience they are used to, as well as better serve the developers working on the next generation of weather data. As a result of this change, I was called upon to help with the surplus of inbound inquiries this decision created. Little did I know when I agreed to help work with these folks, the wealth of information I would take in about weather data and its seemingly endless use cases. So why is this something that’s worth writing about? The Weather Company continues to remain the world’s most accurate forecaster and IBM is committed to ensuring its customers receive precise and accurate weather data at rapid speed. Weather is something that impacts everyone daily in their personal lives. 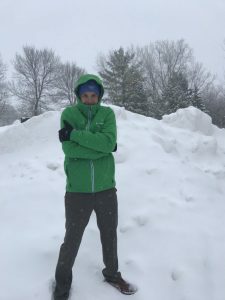 It’s a lot like the 82,000 memes you’ve seen on social media around the January 2019 Polar Vortex here in Minnesota … this guy survived his first -30° day ever, and here I am writing a weather blog in the postmortem. Is it going to be sunny today? What’s the wind chill today? Will I need an umbrella? This information is invaluable from a business perspective. Will a snow storm impact a shipment? Does an electric utility require more power today because more people will be using their AC’s? What is the historical sun/wind/rain pattern that could impact agricultural output? You get the point, the bottom line for business is having the ability to access better weather information can really have an impact on how business decisions are made. Helping clients make their businesses better and more competitive through data, is what I do. These new IBM offerings are both cost effective and robust. Truth be told, in my sales career, I’ve never enjoyed the customer conversations more than I am right now. These are really fun conversations to have. I’ve learned about vineyards and how weather affects wine production, how off-shore oil rigs rely on accurate weather information to make decisions on worker safety and asset protection, and the ways public safety uses weather to predict what’s coming so they can best plan and schedule the resources necessary to keep public utilities going during weather events. Speaking of fun, I’m positioning the Weather Company for Enterprise use, but I’ve got a new app on my phone that I simply love. WTForecast is a great app that I recently discovered (not affiliated with IBM). If you want a little humor (and let’s face it, when it’s -30° you need to laugh, albeit carefully, so as not to crack your face), be sure to give this one a try. The point is, take a look at how decisions are made in your organization. Could better weather data help your company to make better choices to enhance profitability, make a more enjoyable workplace, or maybe even save an employee’s life? Let’s get to work today and uncover what we can do for your future. Doug Polen is a Software Sales Specialist at Evolving Solutions. 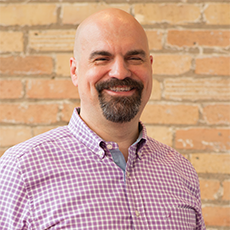 He has been with Evolving Solutions since 2015, after spending 16 years at IBM as a Software Client Leader and Client Executive. He specializes in IBM PassPort Advantage, Software as a Service, Analytics, Cloud, Cognitive, IoT, Security, Social & Weather solutions and holds numerous IBM software certifications. Like what you read? Follow Doug on LinkedIn. I recently hit up one of our visionaries here at Evolving Solutions, our CTO, Michael Downs, to get his take on the technological trends we can expect to see in the coming year. Michael evaluates emerging and disruptive technologies. He brings together the real-world experience our team possesses to help our clients implement solutions that are agile, offering as much longevity as technology allows. He offered some really great insight on some pretty cool emerging technologies and I had to share three of them because I think they are something to look forward to. IT Automation is the trend that keeps coming back. We’ve been talking about IT automation for decades, but it has taken on increasing relevance with most infrastructure now able to be treated as code for deployment and changes. This has allowed developers to integrate the development automation they already created with deployment automation for infrastructure. The rise of both containers and “server-less” application development models have made automation required. Managing a container that might only run for less than 30 seconds before it’s deleted simply can’t be managed with more traditional manual processes. After several years of crypto currency hype and over-promise for solving every enterprise problem, some practical and realistic implementations are starting to emerge. In spite of the reputation for Blockchain supporting interactions between completely untrusting, anonymous parties, the “permissioned Blockchain” model, where the participants are known is showing significant promise for enterprise use cases. Deriving value from enterprise Blockchain implementations usually necessitates a consortium. We recommend you identify others in your industry or value chain who would also benefit from a shared ledger and work with them on use cases. Undoubtedly the most futuristic and uncertain area of emerging technology. Tremendous energy and time is being spent on Quantum Computing research by companies with the resources, capabilities and interests to achieve breakthroughs. IBM (https://quantumexperience.ng.bluemix.net/qx/experience) and Google (https://ai.google/research/teams/applied-science/quantum-ai/) both have significant efforts and are enlisting developers to experiment with algorithms and programming models through their respective portals and cloud based offerings. In addition to the technical challenges related to making a commercially viable Quantum Computer, use cases that truly take advantage of the unique computational paradigm of Quantum Computing are still being developed. Physical Chemistry, cryptography and certain artificial intelligence use cases seem the most promising, but until more people outside of research laboratories begin to understand the true nature of Quantum Computing, it’s potential will remain limited. Automation, Blockchain and Quantum Computing are just a few of the technologies that should make 2019 interesting. I know Evolving Solutions will be watching these technologies for their potential in helping our clients solve their organizational challenges so stay tuned to our blog and social media for more! Liz is the Marketing Coordinator and is responsible for the digital/social strategy, content creation and campaign execution for Evolving Solutions. She handles all online platforms including the Evolving Solutions website, blog, LinkedIn, Twitter, etc. Liz works with the incredibly talented sales, consultant, and architect teams to ensure we offer the best support to our clients. From creating collateral, to planning world-class events, Liz works to ensure our best foot is always forward. With more than 15 years of marketing experience, Liz is also pursuing a journalism degree at the University of Minnesota. Like what you read? Follow Liz on LinkedIn. Michael joined Evolving Solutions in 2014 to develop solutions for our clients across hardware and software, both on and off premise. He brings over 18 years of creating architectures to solve complex business problems including big data, high performance computing, integration, automation and end user computing. His broad technology, business and industry experience provides valuable perspective to our clients working to implement innovative technologies to support their success. What technology trends is your IT team seeing take hold? Big data analytics has many applications. From consumer buying behavior, patient symptoms, public policy and even the weather, the insights it can provide are on track to make long lasting impacts. A recent article on the Star Tribune by Joe Carlson brought the conversation about healthcare and big data analytics close to home. Several Minnesota-connected companies led discussions on working across the industry to utilize data from insurance, hospital, pharma and medical device sources to drive better patient outcomes and manage rising costs. Working with big data analytics tools has been key to making this possible. The first example comes from Medtronic and UnitedHealth. Many might think medical device and insurance companies might not always have the same goals in mind but not true. The two companies partnered together to discover the value of the features of a Medtronic insulin pump vs. other pumps on the market. Mr. Carlson reports they discovered that there was a decrease in hospitalizations due to complications from diabetes when the Medtronic pump was used, thus decreasing overall insurance costs. This led to a change of thinking. Dr. Richard Migliori, chief medical officer of UnitedHealth explains in the article, “It caused us to stop looking at line-item cost figures and start looking at, what is the total value? Because we saw a total value, we then began to wonder; shouldn’t we be (paying) on the basis of total value?” In 2016, UnitedHealth announced that Metronic would be its preferred insulin pump provider. In Mr. Carlson’s article, he also gains insight from Mayo CEO John Noseworthy. Mr. Noseworthy adds that the industry has changed in the last five years and the atmosphere is one of “partnership, trust and transparency” in order to work together to bring down rising costs and improve patient outcomes. Finally, St Jude Medical is working on a solution to reduce chronic pain by using a medical device versus pain medications. According to Mr. Carlson’s article prescription opioid painkillers are not only addicting but they lead to 15,000 deaths per year. Using big data analytics, St. Jude is looking to make the case for using its device which has a larger upfront cost but may reduce overall costs long term. The power of big data analytics and a great spirit of partnership has helped make these connections possible. 68% of manufacturers are currently investing in big data analytics in the next twelve months and 67% are moving forward with these investments even as they cut in other areas. Mr. Louis Columbus of Forbes breaks down for us a recent analytics/IoT Honeywell survey of 200 North American manufacturing executives. Mr. Columbus reports most executives are fairly confident on the analytics path they are on. In fact, 65% report being on the “right track” or “above the curve” when it comes to their use of big data analytics. In summary, the results of this survey show that big data analytics will be key to allowing those in the manufacturing industry to improve revenue and operations for their companies. Entrepreneur reports that by 2020 every person online will create 1.7 megabytes of new data every second, and according to a study on Computerworld, by that same year $72 billion will be spent on big data hardware, software and professional services. Data is growing and its coming in many forms both structured and unstructured, and companies are looking for the tools to help them manage and utilize it. Big data can provide a more complete picture of your customer, marketplace or product/service. But before you can take advantage of big data, you must first have the right systems and tools in place. Now is the time to consider your own infrastructure to make sure the right workloads are working on the right technologies. In fact, it may be time for your company to take a deep look into how your data warehouse architecture can be modernized, so you are ready to move ahead with big data analytics projects. Modernizing your data warehouse can increase your ability to deploy new workloads and handle new data sources. You can also simplify your operations. Modern appliances can be integrated with your data warehouse, filling service gaps and making deployment and management of data easier. Finally, a whole new set of tools for big data analysis are available. These analytics tools can integrate into your system allowing you to crunch massive amounts of data to form actionable insights. So how do you get started on the right path? A trusted partner can help you develop a plan for the changes needed to modernize your data warehouse architecture and can help identify the right big data analytics tools for your company. Evolving Solutions takes the time to fully assess your data and business objectives, develop customized software solutions based on your needs, and we provide ongoing support. We take the time to understand your goals and help you to accomplish them. Contact us today to start discussing how to modernize your data warehouse. Big data use has been expanding across a variety of industries. Today let’s focus on the banking industry and how it is using big data. Business Insider reports that some of the biggest banks in the world hope to use the information found on social media channels like Facebook, Twitter and Instagram as part of a customer’s credit history or in place of one when none is available. Of course, developing a system to handle this type of data does not only bring technology and system challenges but also regulation and privacy challenges. Still, many feel tapping into social media would allow the industry to get amore complete picture of the consumer’s financial status and credit. The banking industry is making inroads with big data to better serve its customers. It continues to look for solutions that strike a balance between regulations and privacy and solutions that support the vast amounts of transactional and customer data it already has with new data sources.